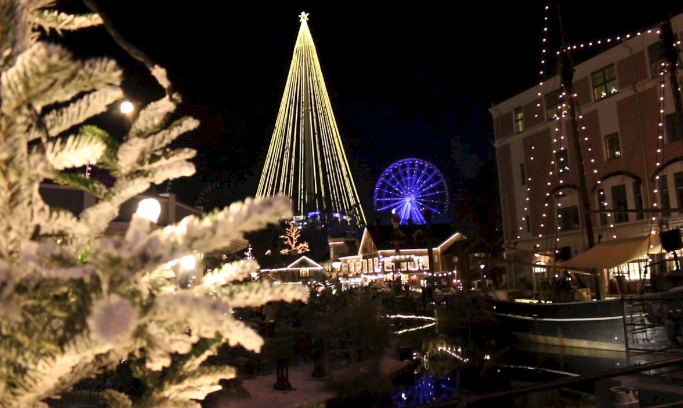 Before we begin, you have to watch the video above so you can see for yourself just how magical and Christmassy Liseberg is! My main reason for visiting Gothenburg in December was for Liseberg Christmas Market. 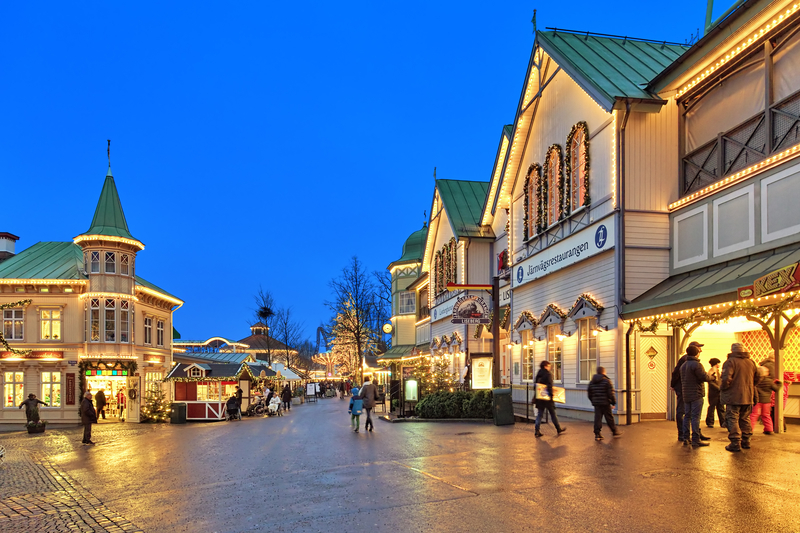 It’s the largest Christmas market in Scandinavia and if anything is going to get you in the festive spirit, it’s Liseberg! The amusement park is open all year round, but it becomes a winter wonderland between November 14th and December 30th. 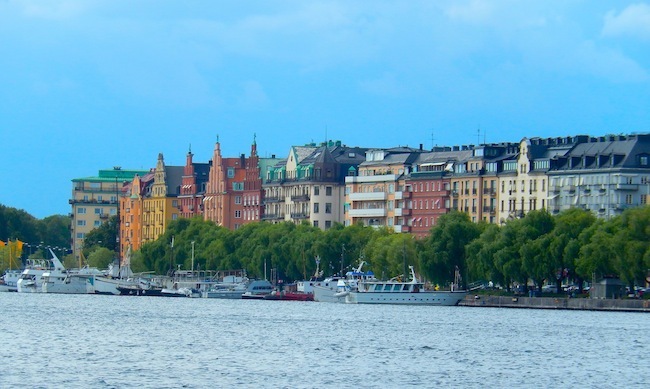 Liseberg is in Gothenburg’s city centre so it was so just a short walk from our hotel, Elite Park Avenue Hotel. At 6pm on a Saturday evening an excitable stream of people were making their way towards Liseberg Christmas Market. We joined the crowd and were happily swept up in the magical atmosphere. I’d been expecting something similar to London’s Winter Wonderland, but what we got was so much more beautiful, traditional and classy. Classy might seem like a strange choice of word but that’s what it was. This wasn’t a tacky tinsel town, it was magical and authentic. 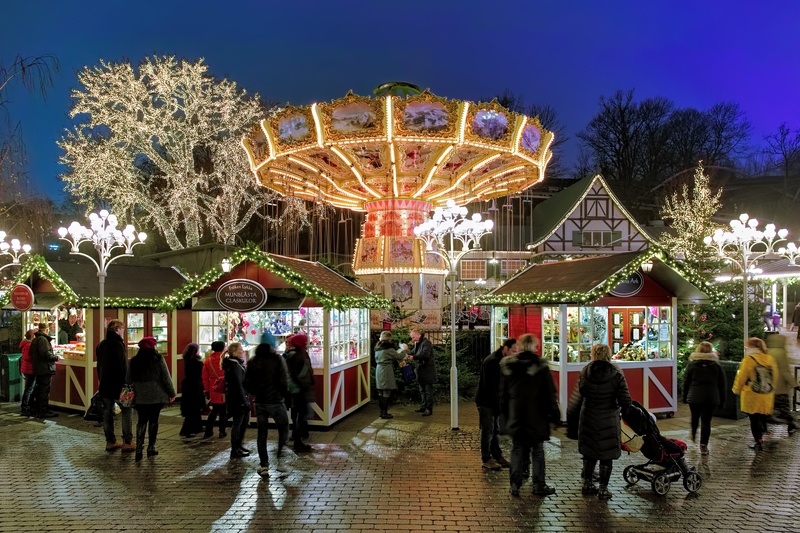 Liseberg Christmas Market is split into seven different sections; Sparkling Christmas, Christmas with the Rabbits (for little kids), Old-Fashioned Christmas, Traditional Christmas Market, Lapland, Animals from Noah’s Ark and a Medieval Village. The main entrance is via Sparkling Christmas for the ultimate first impression where millions of tiny lights lead you through the trees. 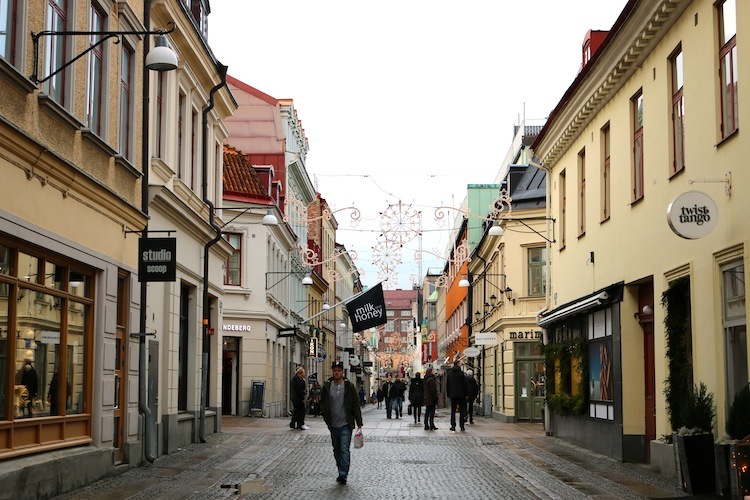 You can then wander around the rest of Liseberg, go on some rides, try the arcade games, shop at the markets, eat lots of food and warm up with hot drinks next to the fire pits. After two and a half hours in Liseberg we were well and truly frozen and headed to Heaven 23 in Gothia Towers, just across the road from Liseberg. The restaurant is on the 23rd floor so has amazing views across the city. It felt chic but cozy up there and we had a perfect window table. We both had the King Size Shrimp Sandwich. Admittedly, it’s an odd choice for dinner but it’s a dish the restaurant is famous for and virtually every other guest in the restaurant seemed to order it so it seemed only right to give it a try! For a prawn sandwich, it was absolutely enormous. Each year, the restaurant gets through 35 tons of Artic prawn and they pretty much all go into the prawn sandwich. That’s a lot of prawns! But I was craving something hot and satisfying at the end of my meal so I wish we’d gone for lunch rather than dinner. Heaven 23 had a great atmosphere but the service was pretty bad and the menu wasn’t great. If I were to go again I’d pop up to Heaven 23 and have a cocktail in the bar and enjoy the view but I wouldn’t recommend a meal there. Tickets are 95 SEK or entrance is included if you have a Gothenburg City Card which costs from 355 SEK for 24 hours. Wrap up warm. I know this is an obvious one but it really is SO cold. Wear as many layers as you possibly can to enjoy Liseberg properly or you’ll be miserably cold. Visit between 3-7pm. It starts going dark at around 3.30pm in Gothenburg in the winter and it will be pitch black by 4.30pm. Late afternoon is a good time to see Liseberg Christmas Market in the daylight but it’s best appreciated after dark when all the lights come on. It gets very, very busy at around 6pm so you need some patience with the crowds. Massive thanks to Visit Sweden for inviting me to Gothenburg for a fabulously festive weekend! So beautiful! I love Christmas markets…the cheery lights are probably my favorite part of the whole holiday season! What a lovely way to kick of the holiday season! I loved the video. It really puts you in a great festive mood. Cute music choice too. I really need to do more vlogs! Thanks for the inspiration. You definitely should, it’s beautiful! Wow, it looks so magical! I’ve only ever seen smaller Christmas markets and although they’ve been pretty I’ve always been a little disappointed but this looks wonderful. One for the list! I was always exactly the same. I’d be entertained for about 10 minutes at most Christmas markets and then the magic quickly wears off. It wasn’t like that at all at Liseberg, it was amazing!